A digital magazine for driven, stylish, and empowering women. Here’s to fashion, beauty, culture, and activism made easy; made for you. When it comes to dessert, there is no shortage of sweets to grant us pure bliss. However, it is the brownie and the brownie alone that is not only capable of bringing us joy but is an essential part of being happy. While other desserts are concerned with serving a purpose—ice cream to get over heartbreak, chocolate chip cookies to leave out for Santa Claus, you get me—the brownie is the only sweet that exists for no other reason than to satisfy the consumer. It’s impossible to be upset with a mouthful of brownie. At the same time, a brownie isn’t a food that is used only when someone is having a bad day. A brownie can be used in a celebration, a day off, or even to complement another dessert. Deb Perelman of Smitten Kitchen whips a delicious brownie and ice cream combo. Brownies are subtle, even a little shy. They don’t demand to be the center of attention. They don’t need to be linked with big events like birthday cakes or breakfast muffins; they just need to be brownies. Speaking of muffins, another editor made a case for why we need to make space on our Instagram feed for muffins. Now back to talks of chocolatey goodness. Brownies can even be a little healthy for you—just check out Minimalist Baker’s recipe for vegan brownies with chocolate ganache. Brownies are there for us. They are easy to bake and even easier to dole out. They leave the dividing to us: a different sized brownie for a different day of the week. Brownies want us to devour them on our own time, as we please. Brownies just want to live contentedly in our bellies, making our mouths full of gooey wonder and our hearts forever warm. Eager to try a great brownie recipe? Allow YouTuber and TV personality Laura Vitale to show you how. All things fashion. Let me write about it. 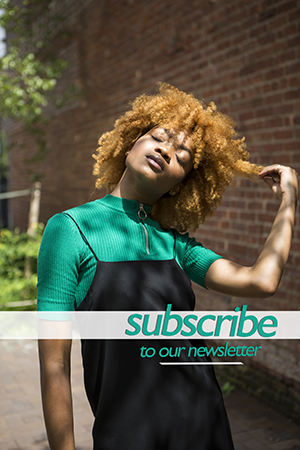 Enter your email address to subscribe to Young Hot and Modern and receive notifications about new stories! Cozy up in fun, lightweight knitwear from @ph5official this spring, and read more on one of our favorite brands. Link in bio. Happy International Women's Day! Join us in celebration of the social, economic, cultural, and political achievements of women all around the world. Here are some of the amazing women we have featured. We spent our last official night of NYFW admiring the fall collection from @afffair.fff. Erxi X Mrhua Mrshua FW19 for Global Fashion’s collective runway show. © Copyright 2019, Young Hot & Modern. All rights reserved.